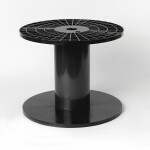 Products – Pittsfield Plastics Engineering, Inc.
We are a full service manufacturer and designer of plastic spools, bobbins, reels, cones, dye tubes and tape cores. We are proud of our innovative designs and precision molded spools for high speed winding. We enhance, update and add to our designs. 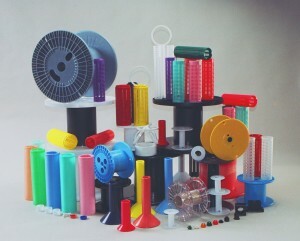 Companies rely on Pittsfield Plastics for custom plastic parts, plastic fine wire spools, plastic bobbins, plastic cores, and much more. We provide standard and custom products for the textile, wire and cable, tape and solder, coil winding, water filtration and medical industries, plus custom molding for industrial and medical clients. You’ll enjoy durable recyclable materials, structural integrity and appealing, ergonomic design. We offer the capacity to take your concept from initial prototype all the way through final assembly and packaging. We’ll deliver to meet your marketing needs or your “zero inventory” assembly schedule. 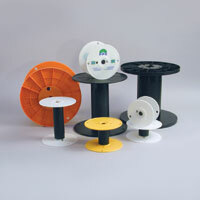 A complete line of wire reels and spools for coarse, fine and ultra fine gauge wire are available. Material and design options allow for lower cost shipping reels to multi-use process reels. 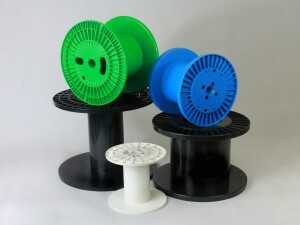 Call to learn about our plastic wire spools and reels product line or any custom plastic parts needs. 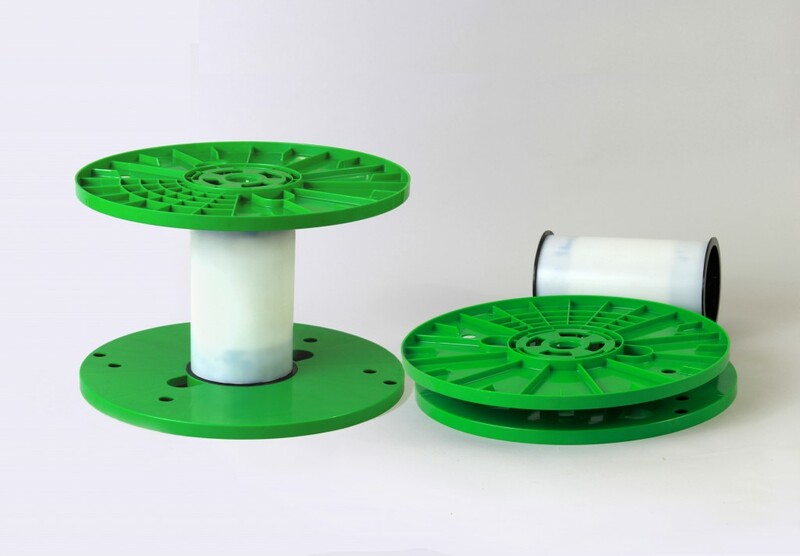 *STD or FW available Our wire reels come in a variety of sizes and colors, we can even print your logo on the flange. A complete line of solder spools is available for packages ranging from 1/4 lb. to 50 lbs. Our automated labeling process enables us to apply labels cost effectively. Tape spools and snap fitting shells are available to package tape widths from 1/2″ to 2″. Several flange diameters offer options for different tape lengths. Plastic tape and film cores are a Pittsfield Plastics specialty. 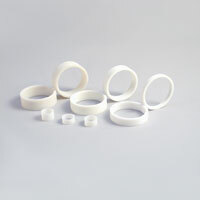 Injection molded film cores are available in many diameters and lengths. Ask about these or any custom plastic parts you need. 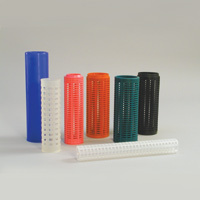 Plastic cores come in all sizes, call us for more information. 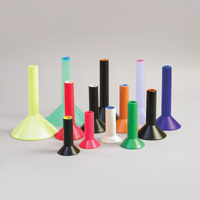 Pittsfield Plastics – your source for plastic dye tubes and cones. 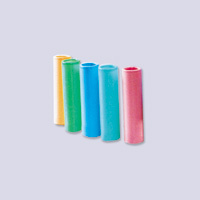 Dye Tubes are available in several sizes. A built-in nesting feature eliminating the need for dye tube separators is available in all sizes. 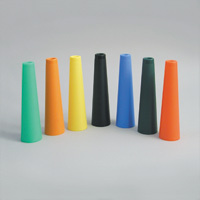 Cones and solid take-up tubes are offered in many colors. 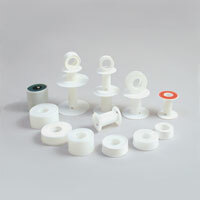 Plastic king bobbins in a variety of sizes are available, for packaging from 4 ounces to 64 ounces of thread. The accurate bobbins with sure-grip surfaces are offered in many colors. Customized printing is also available on bobbins. These utility reels can be shipped to you unassembled to save on freight costs. We can ship over THREE TIMES the number of these reels to you as compared to assembled reels. These plastic reels are fast and easy to assemble manually at your facility — no tools needed! You ship product to the end user and they can disassemble the reel (again, it’s easy with no tools needed!) and ship them back to you for reuse.